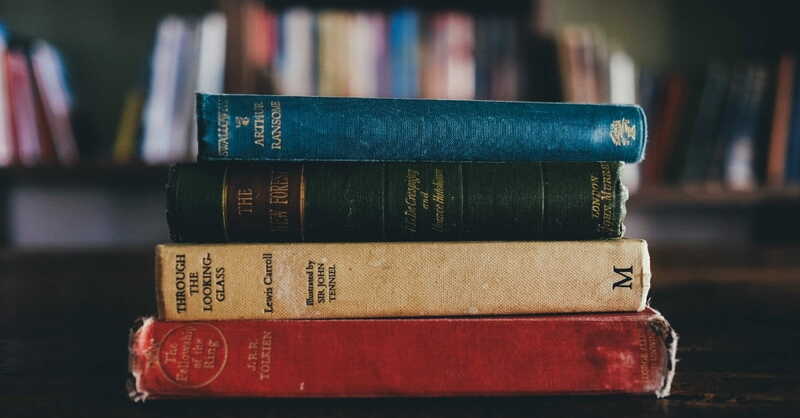 One Bible verse no one can disagree with is Ecclesiastes 12:12—”Of making many books there is no end.” With more than 800 books being released every day, it’s kind of… well, insane, to think that there’s an audience for even a tenth of these books. So how would a reader even come close to reading most of what interested them? If you’re reading a lot of newer books, pay attention to the footnotes and/or endnotes. Start reading the sources read by your modern favorites. For example, if you read a lot of John Piper, you should read Jonathan Edwards. If you really enjoy Tim Keller, read C.S. Lewis. Actually, if you read most any modern Reformed-ish guy, read Spurgeon (then read Calvin, and then Augustine), and so on. Following the footnotes—following who influences the people you read—will give you a healthy starting point on what to read (if you don’t already know where to begin). C.S. Lewis offered some terrific advice we should take seriously. In God in the Dock, he wrote, “It is a good rule, after reading a new book, never to allow yourself another new one till you have read an old one in between. If that is too much for you, you should at least read one old one to every three new ones (201). Okay, maybe you don’t need to get too caught up on the numbers, but Lewis’ point is well taken: don’t just fill up on new books. Try to read at least one older book between every few new ones. I probably read a lot more newer titles simply because of book reviews. But even so, it’s not impossible to maintain a healthy balance (as I hope my reading reporting in 2016 has shown). I’m not fan of chronological snobbery on either side, and I know this final point sounds horribly critical, but I’ll bear with me. In the last six years, I’ve read roughly 645 books. Of those, maybe a handful have felt like they have any lasting importance, and of those, at least two have been written by Tim Keller. But far too many are so grounded in their particular time and context (which isn’t necessarily a bad thing) that they’ll be utterly incomprehensible within 10 years. This isn’t uncommon, though—in fact, it’s been the case throughout history. Not every book can be The Confessions, or The Institutes of the Christian Religion. As much as we need books like those—books that last—we also need The Explicit Gospel and Atheism Remix. Books that speak to our time and specific circumstances. We just need to remember that that’s probably all they’re going to be. Books for a moment, even as we recognize that the books that have lasted were also books of their own moments, too (as anyone who has read J.I. Packer’s first and still incredibly relevant book “Fundamentalism” and the Word of God can confirm). Older books are wonderful and I thank God for them every time I read a really great one. And what keeps me reading them consistently is that they remind me that the gospel always prevails. Theological error is extraordinarily unoriginal. The problems that exist today are the same problems that existed 150 years ago, which are the same problems which existed 500 years ago, which are the same problems that exists 1500 years ago. And in a strange way, that gives me hope because we really do know how the story ends (and not just in the larger, consummated new creation sense, either). Error will always be defeated. The gospel will always prevail. And when you’re feeling low and tired of the fight, sometimes it’s the words of those who came before you that give you the strength to persevere.